Libcom.org's reading guide to the Situationists, a revolutionary Marxist group who wrote extensively on culture and were highly influential on the events of May 1968 in France. Situationists - an introduction - Short and clearly-written introduction to the Situationists. Spectacular Times - Larry Law - Series of small humourous 'pocketbooks' providing excellent brief introductions to situationist ideas. 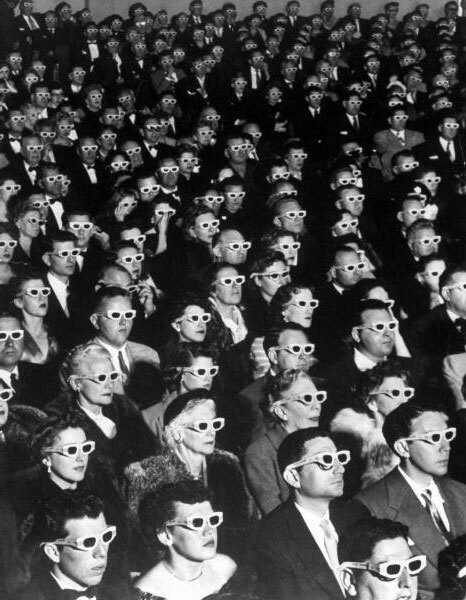 Society of the Spectacle - Guy Debord - Seminal analysis of 20th Century consumer capitalism. Arguably the most important text of Situationist thought. The Revolution of Everyday Life - Raoul Vaneigm - Excellent text, written in Vaneigem's typically poetic style, attacking the alienation of capitalist life not only at work but also in our 'free' time. Critique of the Situationist International - Gilles Dauve - Excellent overview of Situationist thought, analysing both their theoretical strengths and weaknesses. Situationist International - Libertarian Marxist group whose ideas heavily influenced the events of May 1968 as well as those of non-Leninist revolutionaries for years to come. Guy Debord - Writer, filmmaker and founding member of the Situationist International. Raoul Vaneigm - One of the most prominent members of the Situationist International. Internationale Situationiste - Archive of issues of the Situationist International's journal. On the poverty of student life - Classic essay analysing the alienation inherent in student life and the university in general. Preliminaries on councils and councilist organization - René Riesel - A look at workers' councils and the historical contexts in which they were created, challenging some aspects of the standard anarchist analysis of the events in Spain during the 1936 Revolution. The Decline and Fall of the Spectacle-Commodity Economy - Guy Debord - Interesting text on the 1965 riots in Watts, Los Angeles, developing into a wider criticism of the civil rights movement in general. Militancy: the highest stage of alienation - Organisation des Jeunes Travailleurs Révolutionnaires - A critique of the role of the political militant, it's misery and arrogance. Enragés and Situationists in the Occupations Movement - Situationist International - Written in the aftermath of May 1968, a highly interesting account of their contribution to the movement of occupations that took place throughout France during the largest wildcat strike in history. May 1968 Documents - Situationist International - Documents produced by the Situationist International or groups the Situationists were involved with during the mass strike and revolt of the glorious May 1968 in France. On the poverty of hip life - Contradiction - A critical look at the hippy counter-culture. Strange defeat: The Chilean revolution, 1973 - Pointblank! - Article written in October 1973 about the coup in Chile which deposed elected left-wing leader Salvador Allende. Self management and the Spanish revolution - Point Blank - A Situationist take on the militias and workers' councils during the Spanish Revolution. On the poverty of Berkeley life and the marginal stratum of American society in general - Chris Shutes - Situationist-influenced text containing critiques of Berkeley radicalism, the marginal worker, 'natural' commodities (e.g. crafts, food, medicine), the car, jogging, bureaucratic reform, Reaganism, the Black Panthers, criminality, culture/aesthetics, feminism, therapy, Robert Crumb, global class struggle in the 1970s and 80s and South Africa in particular - plus more. How to talk like a Situationist - Humorous piss-take of Situationist stereotypes. King Mob poster and image gallery - Posters, stickers and images produced by British Situationist-influenced group King Mob. Perhaps the most accessible introductions to situationist ideas where the Spectacular Times pamphlets produced by Larry Law in the 1980s. I wouldn't be surprised if they can still be found in a corner of Freedom or Housmans bookshop or at an anarchist bookfair. Interestingly Larry Law, before he died, joined the anarcho-syndicalist Direct Action Movement claiming that the Situationists had stolen all their ideas from the anarcho-syndicalists in the 1950s, although I have never seen any source material for this claim. There was also the situationist influenced Vague magazine around the same time. The person who produced the magazine was highly critical of Larry Law for only making situationist ideas available to a political ghetto. Vague gradually became less political and more glossy and was available in Virgin Megastores, which seemed to miss the point about what the Situationists were saying about radicals producing more capitalist commodities and how the the recuperation of radical ideas by capitalism works. Some Spectacular Times do appear to be available online. There should be a ppt/pdf online somewhere that is a good intro thing for a presentation. here are several situationist / situationist-inspired / etc texts on pdf. Situationists times are online somewhere, but I'm having trouble re-finding them. One of these days I"ll put them up on this site, though.